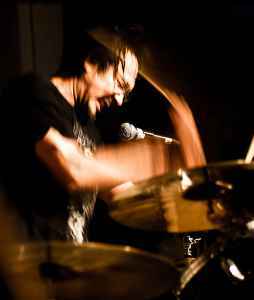 Ruins was one of the main projects of Japanese avantgarde drummer/composer Tatsuya Yoshida. Over the course of two decades, four different bass players participated in Ruins duo. After Sasaki Hisashi left in 2004 (he was a band member for almost 10 years), Yoshida decided to continue the project solo, changing it's name to Ruins Alone. Other side-projects includes Sax Ruins.